Mindfulness is a centuries old therapeutic technique, used for focusing our awareness on the present moment... on our thoughts, feelings, actions and bodily sensations RIGHT NOW... so that we don't get distracted by our environment and the inherently flighty nature of our mind. Mindfulness reduces stress and improves effectiveness in our day-to-day life. It helps us control our mind, so that we can use it to our maximum advantage. How Do We Define Mindfulness? "Mindfulness means paying attention in a particular way: on purpose, in the present moment, and non-judgmentally." The keywords here are "on purpose", "present", and "nonjudgmental". When we are mindful, we do things "purposefully", not just for the sake of completing them. When we are mindful, we don't keep hopping to and fro between regrets about the past and worry about the future. We stay in the present moment only. When we are mindful, we don't "react" to our experiences. We simply witness, and, if required, we "respond". 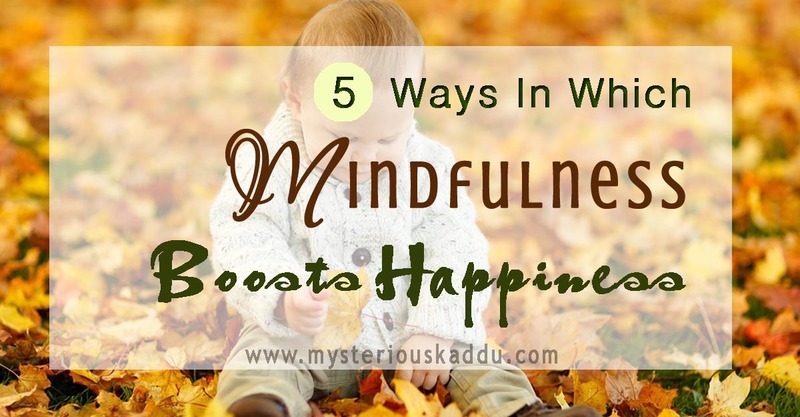 So how exactly does mindfulness affect our happiness quotient? Mindfulness Makes Us More Grateful. Our life is full of countless blessings. From the air that we breathe, to our bodies, which we so carelessly neglect. But our minds our usually so "full" that we never notice how blessed we are. We keep thinking about all the things that went wrong in the past (I know I do this very often), and about all the things that could go wrong in the future (Yupp, this too! ), and we totally miss what's right in front of us, in the present moment. If we start paying attention to our life, moment by moment, we will find that we have a million things to be grateful for every single day. This sense of GRATITUDE is what paves the way for happiness in life. Mindfulness Increases Productivity And Knowledge. When we do something with all our focus and attention, our memory and concentration automatically increases. We are able to learn more, we are able to learn faster, AND we are able to recall things better. With this enhanced sense of acquiring and applying KNOWLEDGE, we work with greater confidence. We tend to make fewer or no mistakes. Our quality of work improves. We are able to complete the task at hand quicker. Mindfulness Leads To Inner Contentment And Calmness. When we are fully focused in whatever we are doing, we know that we are giving it our best. Whether it is the preparation of an important client presentation at work, or something as mundane as brushing our teeth in the morning. We know we haven't forgotten anything. We know we haven't made any careless mistakes. We are confident that we have given our hundred percent. And that gives us a sense of inner satisfaction. It also does away with the stress associated with tackling too many things at the same time, allowing us to be more CALM. Mindfulness Cuts the Negative Chatter In Our Minds. Human minds can hold only one THOUGHT at a time. The moment you think of something else, the previous thought is gone, until you consciously think about it again, i.e. by choice. Most of the time when we get caught in a loop of mental negativity, it happens because we don't even realize that we've started on a chain of thoughts that makes us unhappy. Because we weren't paying attention to what we were thinking. When we learn to be mindful instead, the moment we notice that a negative thought has crept into our mind, we can instantly change it with some other positive thought. Mindfulness helps us see thoughts as clouds floating by through our consciousness. It shows us that WE have the POWER to decide which thoughts will stay and which won't. Mindfulness Improves Our Inter-Personal Relations. Would you like it if your partner, despite knowing the fact that you're an asthmatic and allergic to cigarette smoke, started smoking around you? Forget allergies, let's talk about likes. Have you never been annoyed at your mom for packing something in your school lunch box that you hated? We expect our closed ones to be "mindful" of our needs, don't we? Likewise, we also tend to get closer to people who show sensitivity to our needs. Mindfulness is the tool that helps us treat the people in our lives with respect and LOVE. So that they like being with us, and wish to be with us even more. Despite all its benefits, mindfulness is not our "default" state. It has to be developed by conscious effort and practice. Here are the three key elements required for practicing mindfulness. You must consciously WANT to be fully aware in your present moment. And make this conscious choice repeatedly, every time your awareness shifts. You only need to pay attention to what is happening RIGHT NOW. What you are doing, what you are feeling, what you are thinking, what does the air feel like around you?... Right now. Just watch. Wherever your focus goes, just watch. Do not judge. Do not react. Only witness. Do you try to practice mindfulness in your daily life? If yes, then how do you do it? How has being mindful improved your life or your relationships? How has mindfulness made you a happier person? This is my 13th post for A to Z 2019. Great post on mindfulness, Chicky. It really is something we all need to focus on in these distracted busy times we live in. I get caught up in that mental chatter thing you described and can get in a negative state of mind if I let myself, regretting things or beating myself up for mistakes. Good to focus on now and the moment, being grateful for it since it really is all we have. Happy A to Z! Hang in there, Girl! You're doing great! And today we get a day off to catch up. I'm already thinking about my N post for tomorrow and lay in bed with poetry lines dancing around in my head. As a person who is easily distracted, this is something I should be practising more often. It's also difficult to not react to certain things, especially if one has a passionate nature. I am definitely mindful of others and grateful for all of life's offerings. As I just mentioned on Shubhangi's blog (who's written a similar post on taming the mind), I really need to work hard on my focus. Practicing mindfulness has long term benefits, as you've pointed out. Focus is the way to go, but also what we struggle the most with. Great post and a needed reminder. I try to have some quiet time everyday to get away from all the busyness of life, physically, emotionally, and mentally. Not always successful but always helps keep things in perspective. Going for walks helps keep me calm and relaxed. 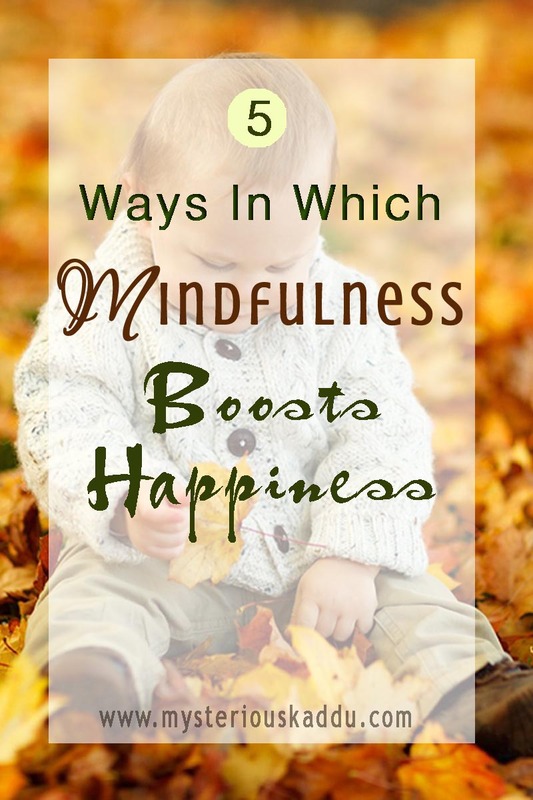 So many benefits of implementing mindfulness that one really gains by it. One stops oscillating between past regrets and future worry. Brilliantly penned it. I have started doing it since Oct last year. Taking mindful breaks is what I have been advocating for a healthy living. As self employed individuals, we never know where to draw the line. The only way out is through mindful living. Great post. That was such a mindful post. It is rather tough to be mindful. You need to be focussed but then I guess if you have the ability to pull yourself back when you happen to fall into the trap of mindlessness, it is a good beginning. A post worth sharing. Great post on mindfulness. We get so tied down in our day to day life that we become frustrtaed and keep loosing control of ourselves. Being mindful indeed helps us. In today's rushed world we easily forget to be mindful. Good post and reminder. I am trying to stop doing too many things at once and get better focus. Your post is timely and helpful. I am working hard at being mindful. There are times I succeed, and there are times when I fail, miserably. But, I know I need to keep going if i am to make it a habit. Mindfulness leads to Inner contentment and calm. This is so true and important. If contentment, pace and calm exits in life , the person is very wealthy. A very pertinent post , Chicky K.
Aha! 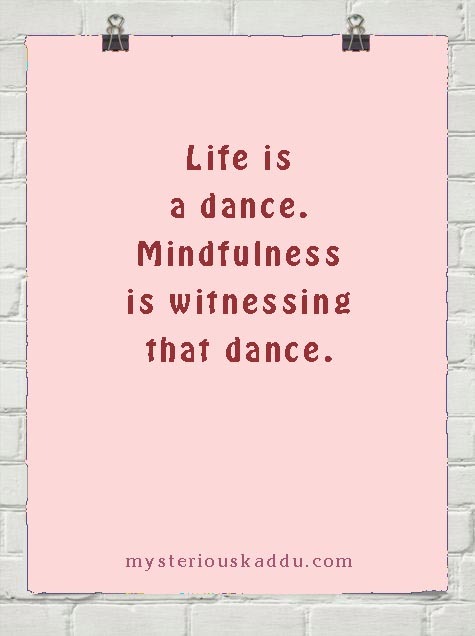 Life is a dance and mindfulness is witnessing that dance... says it all. Love this quote and how effortlessly and profoundly it explains the concept of mindfulness. Mindfulness is something that we need to practice so much as our mind is so fickle and it loves to wander. Vipassana course which I did explains how cutting down the internal chatter, helps to give us concentration, mental clarity, emotional intelligence and acceptance. Thanks for the nudge!! With each passing day I am trying to be more mindful. I also meditate daily and concentrate on 'OM'. You are right to point about Intent, focus and attitude.